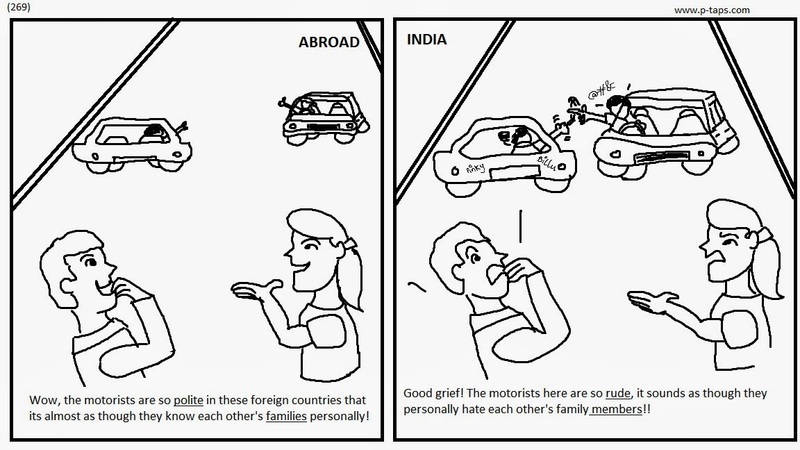 ABROAD - Wow, the motorists here are so polite in these foreign countries that its almost as though they know each other's families personally! INDIA - Good grief! The motorists here are so rude, it sounds as though they personally hate each other's family members! !